It’s August, and we’ve officially reached the dog days of summer. Those days when you know, thanks to the scorching heat and humidity, there is just no reason to even try to venture outdoors. Two steps outside and you look like you’ve gone swimming. Unless you have something to keep you cool, that is. 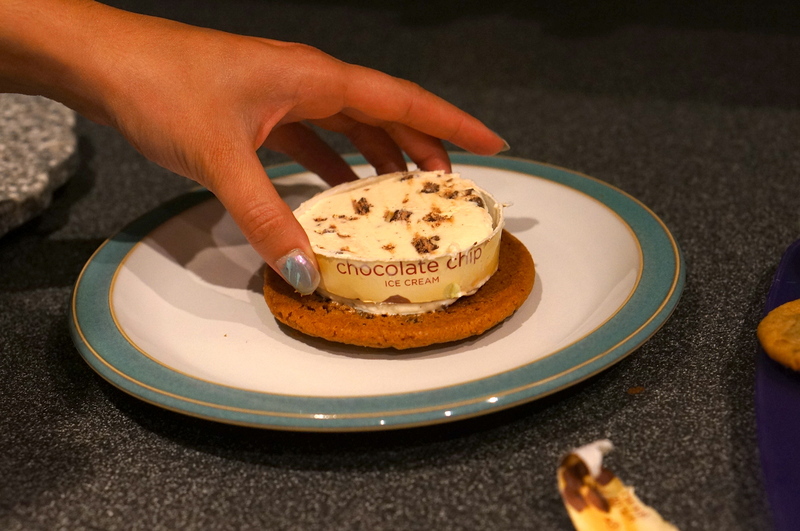 We asked for an easy chilly treat, and Pinterest delivered with this DIY ice cream sandwich recipe (original pin)! On those days when you just can’t stay indoors, the best guards against the elements are sunscreen, water and a cold treat, like this customized ice cream sandwich. 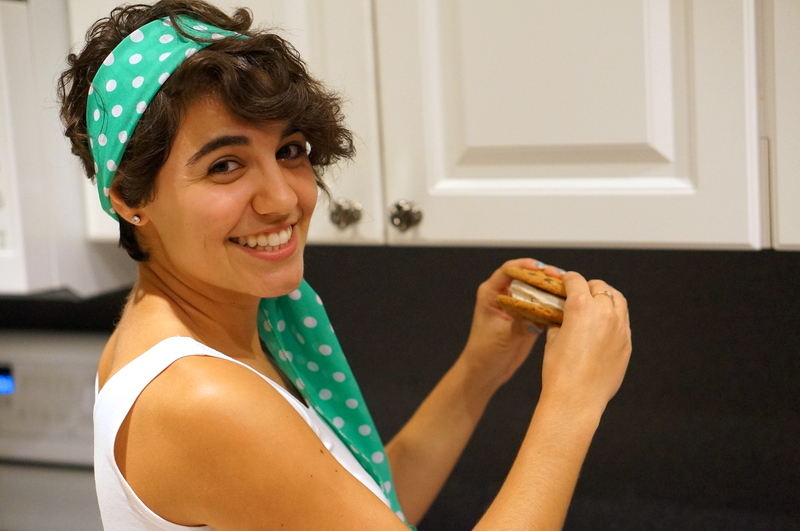 There is nothing quite as satisfying as ice cream on a hot summer’s day, and this ice cream sandwich trick is the coolest (literally) way to beat the heat. 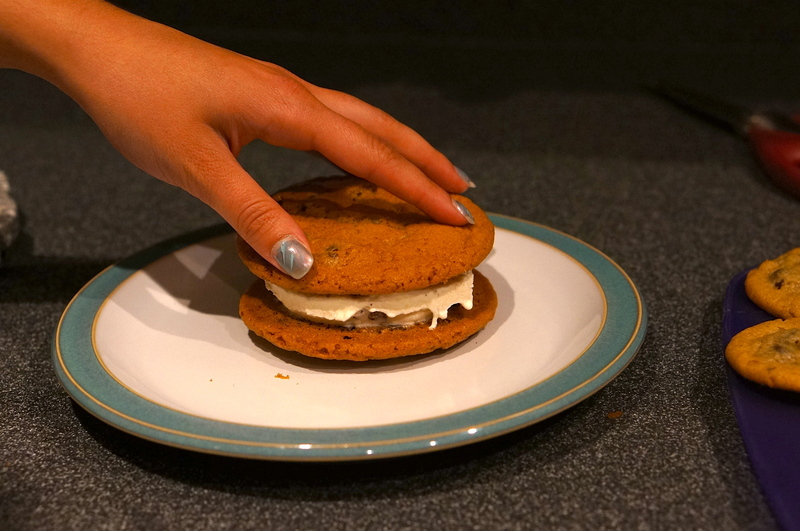 Here’s how to make this super-easy ice cream cookie sandwich! A tub of ice cream- any flavor you would like! Bake the cookies according to the package directions. We made some smaller cookies for the smaller ice cream tubs (vanilla, chocolate fudge brownie and dulce de leche, pictured above) and some larger cookies to fit the larger tub (vanilla chocolate chip, pictured above). 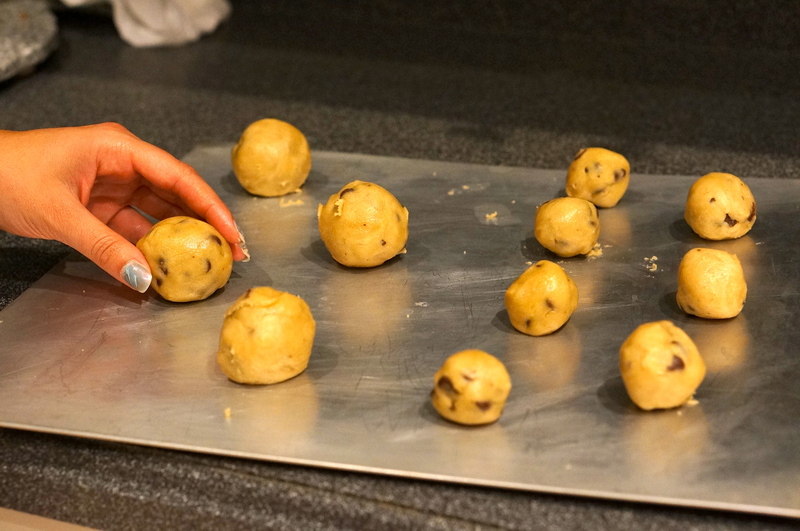 Once the cookies are done, allow them to cool completely. You don’t want the cookies to melt the ice cream! Turn the pint of ice cream on its side. Cut off a slice of the pint, about an inch thick. 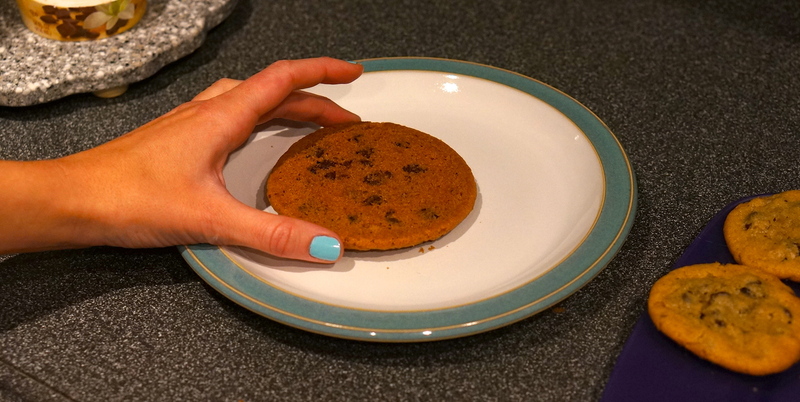 Place a cookie, bottom up, on a plate. 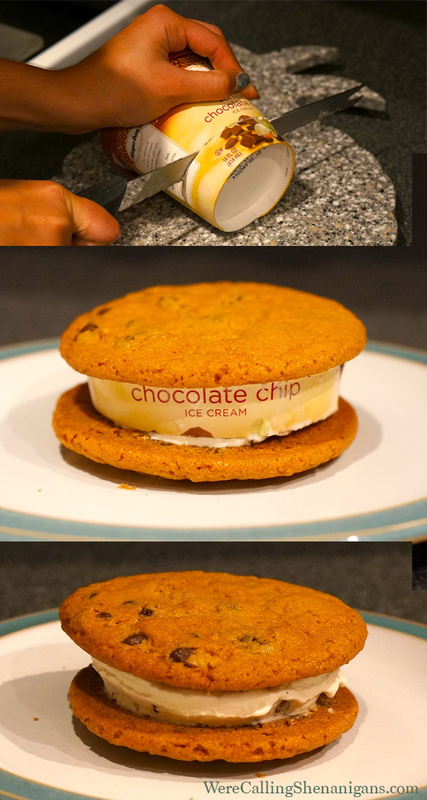 Place your slice of ice cream on the cookie. 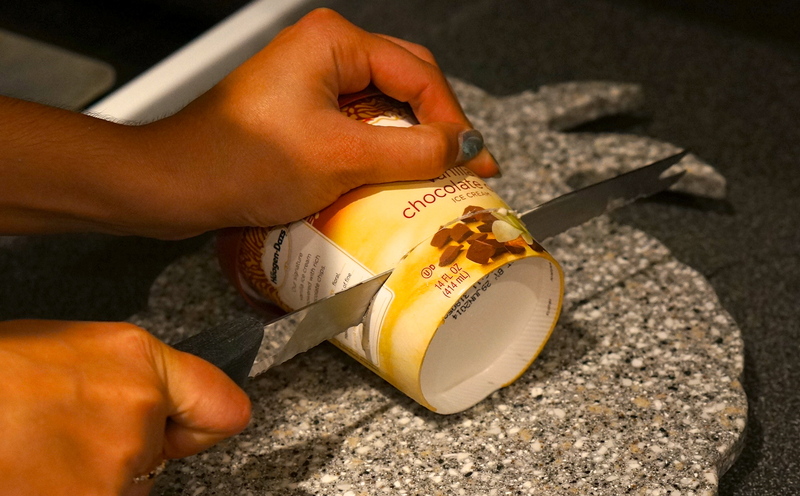 Cut the ring of packaging around the ice cream and peel it away. Place another cookie on top of the ice cream. Now repeat until you’ve used all the ice cream. 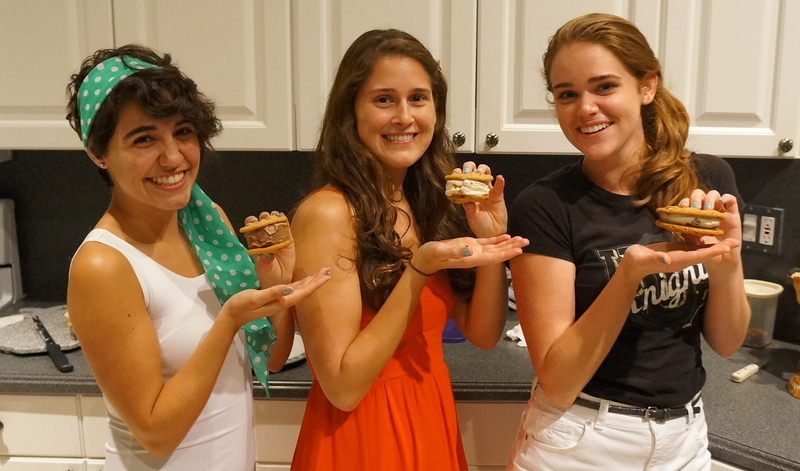 You’re all done- you’ve got your own personalized ice cream sandwiches! Our friend Jackie was particular to the chocolate chip ice cream. You can eat the sandwiches immediately, or you can store them in sandwich-sized Ziploc bags in the freezer. This shenanigan worked perfectly! 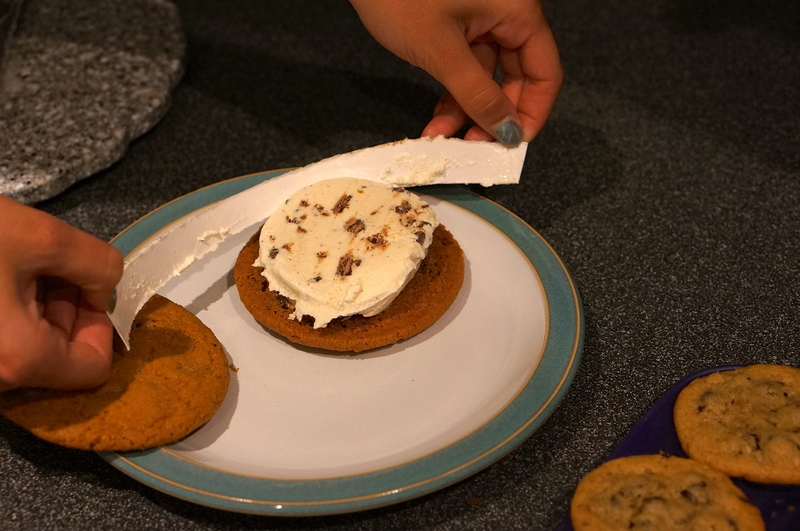 This trick made it extremely quick and easy to make our own personalized ice cream sandwiches. 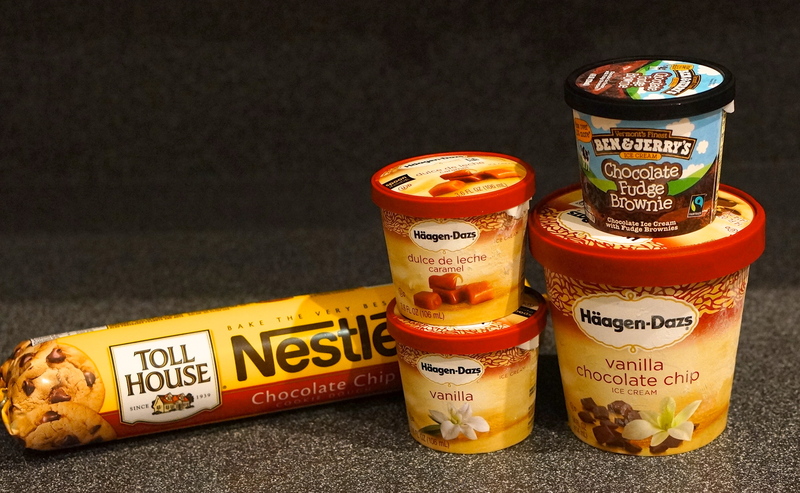 Plus the possibilities are endless: you could choose any type of cookie and any type of ice cream that strikes your fancy. Yum! 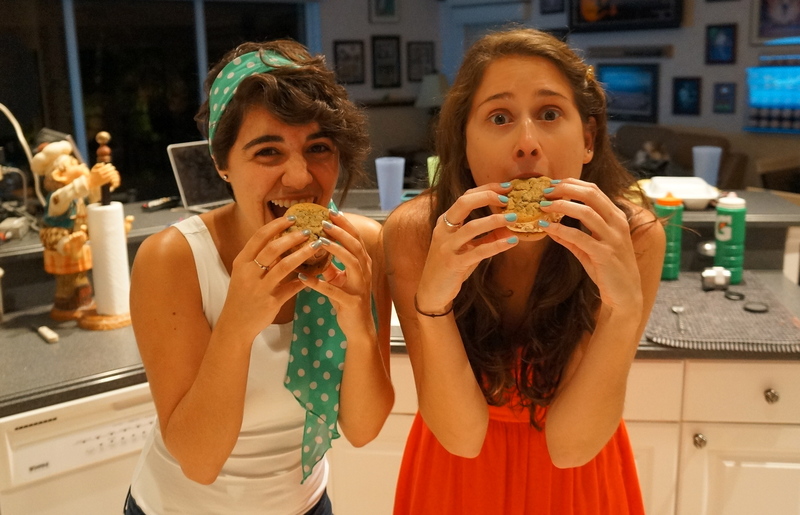 Check out some of our other dessert shenanigans! Looks so easy and yummy. Great that u can pick your flavor !! Wow! This is a very interesting bake! When we saw it we had to try!